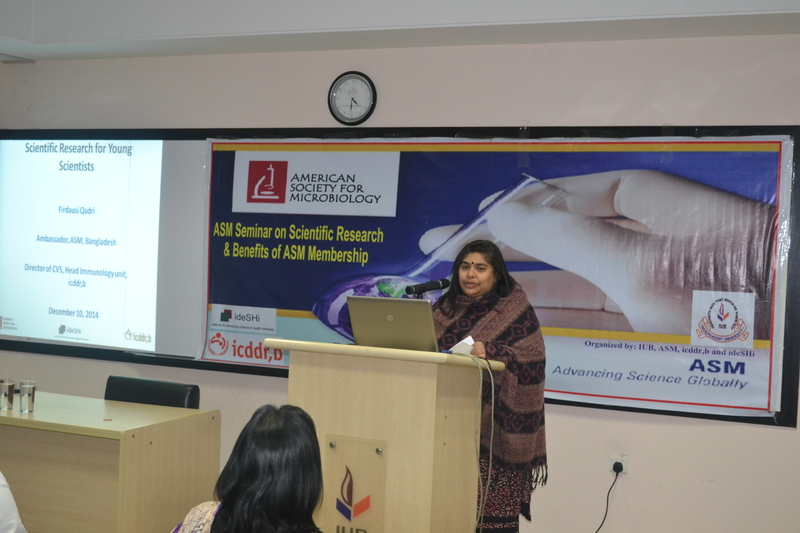 On December 11th, 2014, Dr. Firdausi Qadri, the Director of The Center for Vaccine Sciences at ICDDR,B spoke to faculty members and students at The School of Life Sciences (SLS). Dr. Qadri is one of the most eminent scientists working in Bangladesh today and was recently appointed as a member on the UN Secretary General’s high level panel on the development of a Technology Bank for the Least Developed Countries (LDCs). 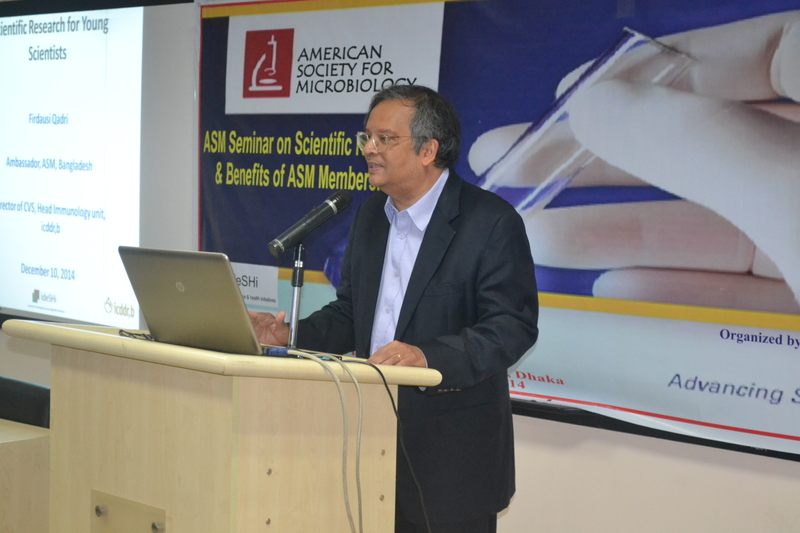 The seminar was organized to introduce The American Society of Microbiology and their global outreach programs to prospective members in Bangladesh. 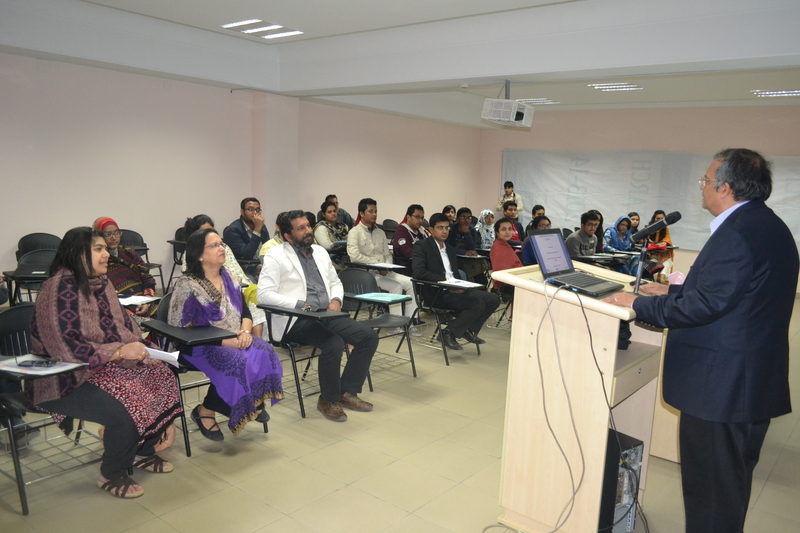 Dr. Qadri presented on important concepts in Microbiology and prominent impacts in developing nations, particularly within the Bangladeshi landscape. 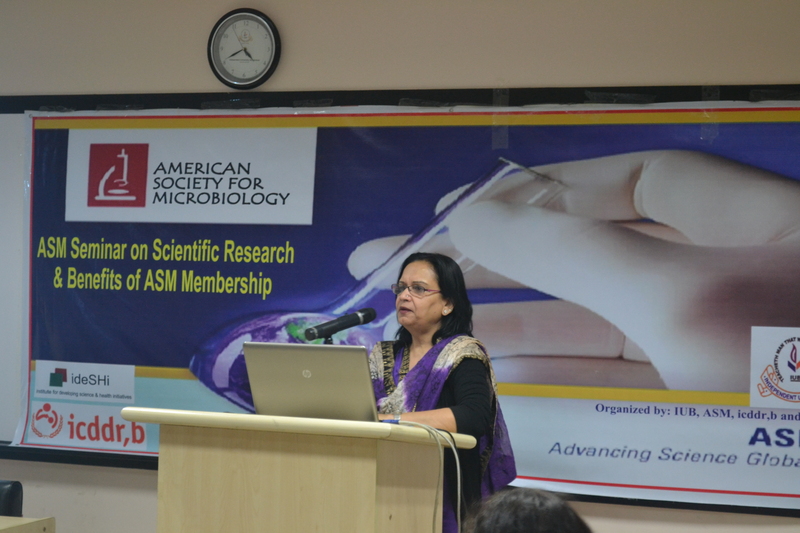 She then expanded on work done by the American Society of Microbiology and their initiatives to form an inclusive network of global biomedical scientists. As was elaborated, membership for students and faculty in developing nations is completely free and includes subscription to a wide range of online scientific journals and opens up possibilities for attending conferences, availing travel grants, networking with prominent scientists worldwide. After Dr. Qadri’s presentation, a video on The Human Virome by Dr. Frederic Bushman from the University of Pennsylania, was shown. The the Dean of SLS, Dr. Rita Yusuf, provided a brief introduction and welcomed Dr. Qadri. The Vice Chancellor of IUB, Professor M. Omar Rahman, gave an insightful introduction to the discipline of Microbiology and its advances in the last 30 years. 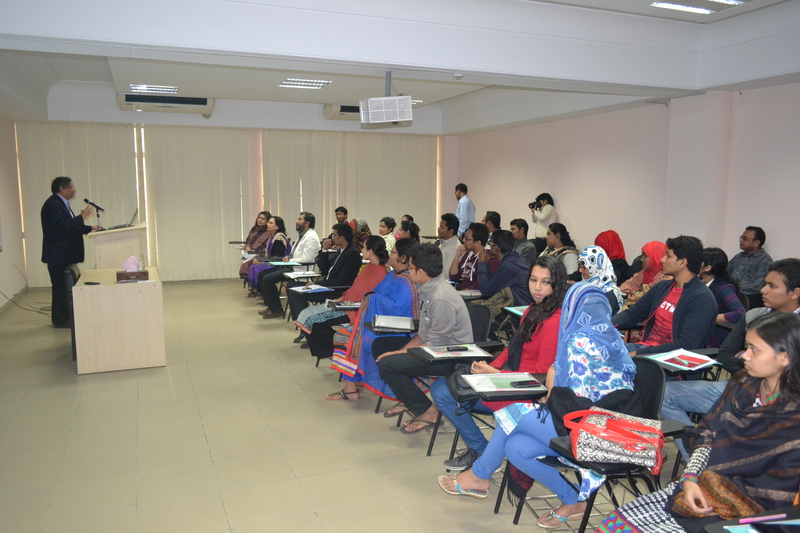 Over forty students and faculty members registered and participated in the informative and interactive session.